Under the ELD mandate, fleets have until December 18 of this year to implement certified ELDs to log those hours. A bill introduced by U.S. Rep. Brian Babin of Texas would delay the mandate deadline by two years. Congress would need to vote on that bill when it returns from summer recess in September. But don’t bet on the delaying happening, PeopleNet’s Eric Whitty told American Trucker recently. “The chances of something getting done by the [ELD mandate] deadline [Dec. 18] are pretty slim,” Whitty said. “What’s unfortunate is that it will create more doubt and uncertainty. Whether the delay happens or not, it’s a good practice for fleets to start looking at a total mobility solution. This can ensure a comfortable, safe and reliable mobile office for any fleet. In addition, a total mobility solution includes several crucial components: hardware and software, connectivity and integration, docking and mounting, and professional installation. There are many options available to fleet managers for each component. They should all be assessed for their function and reliability in the field, and overall value. Software will let fleet managers supervise GPS tracking, route planning and mapping, dispatch software, driver management, and more. 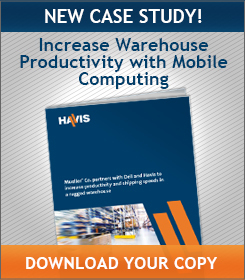 Software can’t run without hardware, which is why hardware is vital to a total mobility solution. Fleet managers need to think about the environment within which the hardware will operate – whether ultra-rugged, non-rugged or somewhere in between – to come up with a solution to fit their needs. Remember that electronic logging devices have different technical specifications than an automatic onboard recording device (AOBRD). Manufacturers can notify AOBRD owners if their devices can be updated to meet ELD requirements through software revisions. These devices must then be certified and registered by the manufacturers. ELDs can include portable ELDs and mobile devices – assuming it meets the technical specifications, and is certified and registered. You can find more specific instructions and an interactive form to register ELDs on the FMCSA registration page. We need to say a few words about safety, a key part of a total mobility system. When equipment isn’t secured properly, it can become a hazard during a crash or even a sudden stop. A quality docking solution will keep that hardware secure and functional. Fleet managers must also be mindful of a driver or passenger’s ability to see and operate a device and its peripherals: keyboards, scanners, printers and antennae. A good mounting solution will keep in-vehicle equipment organized, while also preserving space for usability, productivity and comfort. For this solution to be effective, fleet managers should seek out installation professionals familiar with the system’s mounting, docking and connectivity. 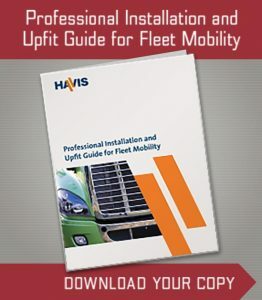 As a specialist in in-vehicle docking and mounting, Havis has compiled some considerations for selecting the right docking and mounting solution for devices inside work trucks or fleet vehicles. 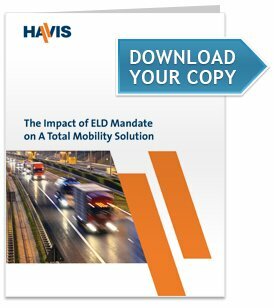 The ELD mandate will happen, whether it’s this December or in 2019. 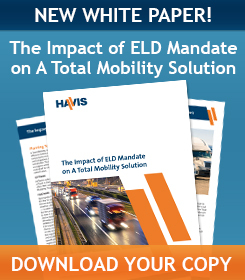 To learn more about ways you can be ready, download our white paper, The Impact of ELD (Electronic Logging Device) Mandate on A Total Mobility Solution. And be sure to visit our website to learn more about how we can create a total mobility solution for your fleet.